Oh, I’m the same way. I think I watch a lot more light and fun tv shows or movies than read books that fit that category. I’m not sure why? I guess when I watch something it’s usually more of a mindless thing so don’t want to get sucked in necessarily as I would a good book! 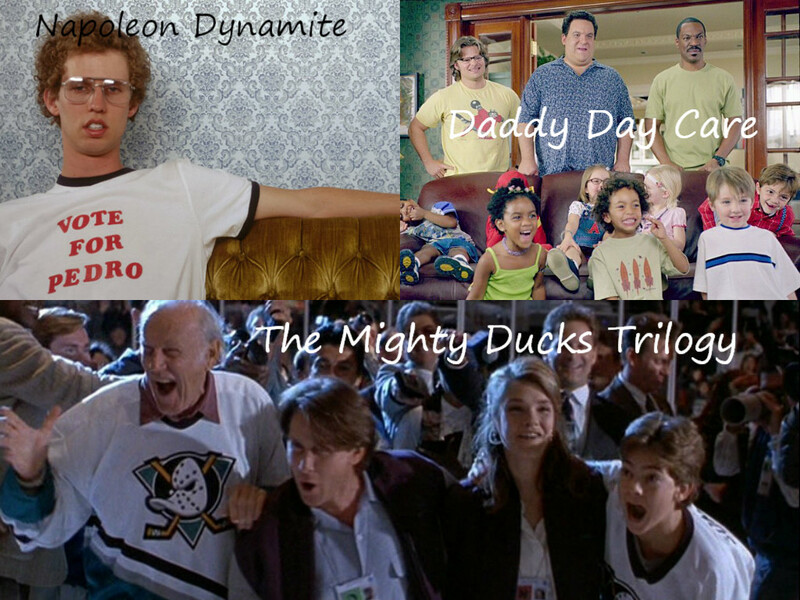 I was excited to see The Mighty Ducks on here! I haven’t seen that movie in FOREVER! It makes me want to go watch it right now. I know The Mighty Ducks is actually completely ridiculous in its plot points, but who cares? I grew up with the movies and I love them just because they’re fun! I accidentally scheduled this post early so it’s not finished yet, so check back tomorrow to see the complete post. Good choices – I love “Enchanted,” especially. 🙂 I always throw on either “Stardust,” or “Ten Things I Hate About You,” or “Garden State.” I think those are my top three go-to movies when I need something fun and light. I actually haven’t seen any of the movies you mentioned! I feel like I’m the only person who hasn’t seen 10 Things and Garden State! By the way, I accidentally scheduled the post to go up before I had finished it, so now it’s actually completed. I love While You Were Sleeping, and Enchanted was so cute! I’ll have to look up a couple titles I haven’t heard of before. 🙂 Fun list! 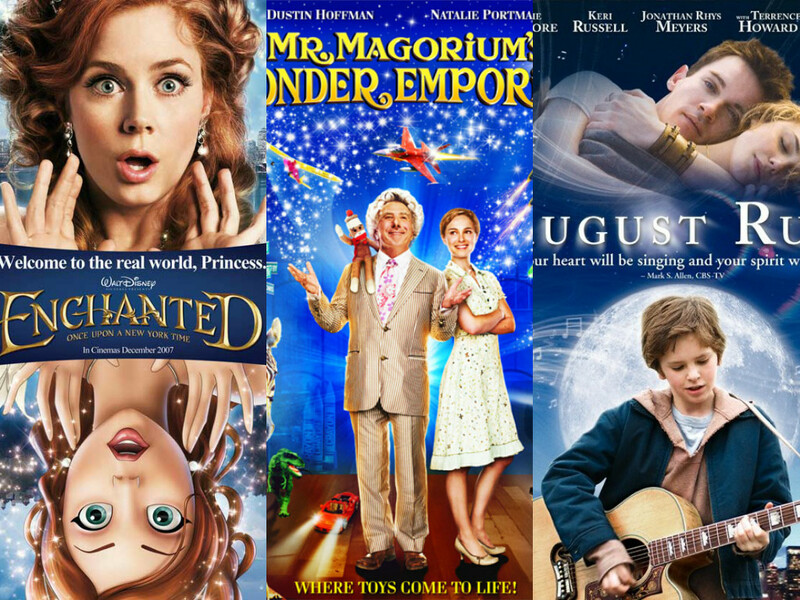 Not sure which ones you haven’t heard of before, but I would highly recommend Mr. Magorium and August Rush especially. It is so much easier! So much so that I have thought of more after creating this list and wonder if I’m going to have to do a “round two” of light, fun movie choices! Mr. Magorium is one of my absolute FAVES and no one understands me. So glad to see that I’m not alone in this! Emma, with Gwyneth Paltrow, is also a lot of fun! I feel like a lot of people aren’t even familiar with it. Are there people who don’t like it?! Because that’s just not right! 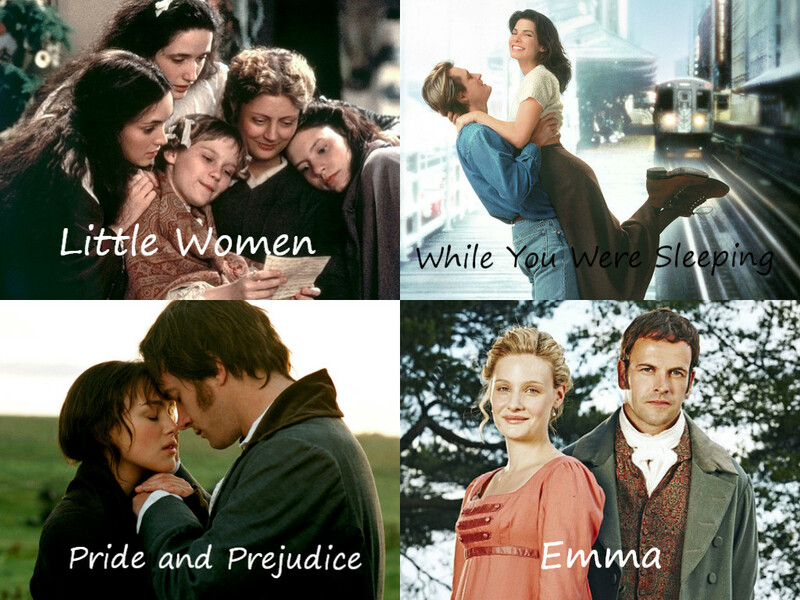 I do like the Gwyneth Palrtow version of Emma, but my favorite is the BBC mini-series that came out just a few years ago. It’s just soooo good (and long! But I like that it’s long)!